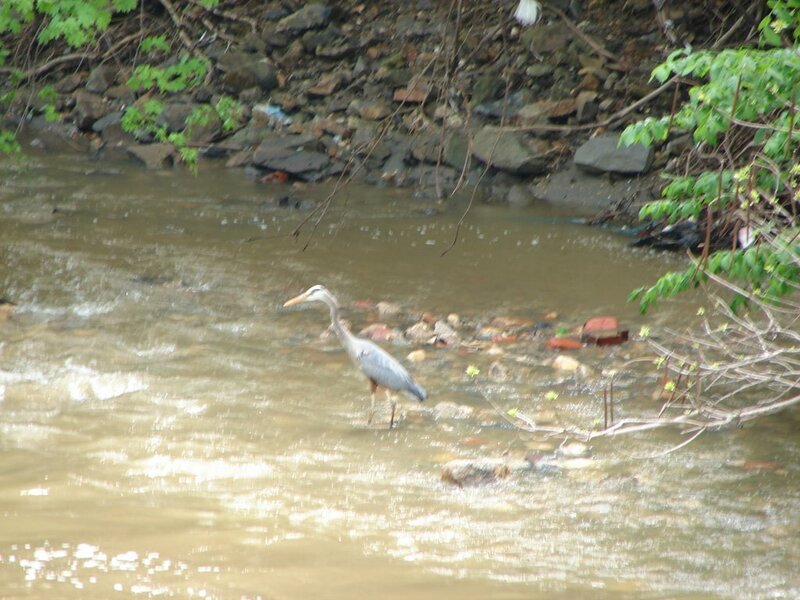 I had just enough time to snap a photo of this bird, a blue heron possibly? I took the picture on the Jones Falls Trail, just south of the actual Falls themselves. I had been taking shots of the Falls, and caught a glimpse of the bird taking flight downstream. I followed the trail on my bike and was able to get this out of focus picture from about 70 yards away, just before it spotted me again and took to the sky. I spotted him/her twice more, and possibly another, but I wasn't quick enough to get any good shots. Be assured I'll be back there though.